Have a cigar storage problem. Bought too may sticks for my humidor ...Ahh, the sweet cigar deals of late! Storing overflow cigars in large zip-lock bags,(Until permanent solution found). What is the best method of keeping the cigars humidified? Should I get a Boveda humidification pack and throw it in? What % humidification packet? Or is there a better way to store cigars short term with other household items? Does it have to be Tupperware,(like to think of self as thrifty)? What about Rubbermaid- Heavy Duty line? One of the tubs that has the latching lid I think would work. 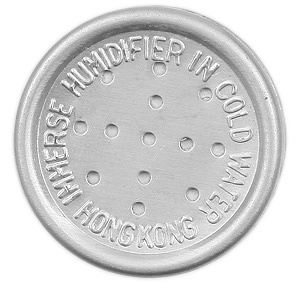 I started a thread about humidipaks a little while ago and received some good information about a tupper-dor that might help point you in the right direction. I'd like to try it out, but the last two orders for cigars have provided me with another 25 qty humidor and a travel humidor, so I'm not necessarily needing it just yet. Maybe I need more cigars (send aid!). The first half of my career was spent as a tool and die maker making injection molds for plastic containers. Five years were in the legit Tupperware factory and I became super sensitive to people who refer to all plastic containers as "Tupperware". They aint. I suppose the thicker Rubbermaid or Sterilite containers from Walmart probably seal well enough for the task at hand. This. Add Bovidas as needed and you’re good. I guess my question would be how many cigars are we talking and for how long? Ziplock and a 65-68 Boveda will work short term. I would recommend a 232 Sistema and a 65 Boveda. If you are wanting to upgrade your storage as a whole you could go the coolidor route and pick up a 50qt cooler and still use Bovedas.